This is a city of fierce competition. 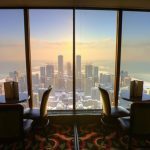 For a Chicago new restaurant to stand out above other new venues, as well as match or surpass well-established names, is a feat of its own. 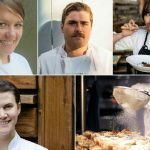 There were many openings last year, but these 15 restaurants have broken through the mold and deserve recognition. From small bites to gourmet dishes, and everything in between, Chicago has a better food scene because of these new restaurants. 42 Grams provides a cozy atmosphere with exceptional dining. Their prix fixe menu comes in at the cost of $243 / person, but it is for a reason. They are bringing back ultra fine-dining to the masses and they excel with ease. It has not gone on blind eyes either, they are the only new restaurant of 2014 to receive the prestigious Michelin Star Award’ they received 2 stars at that. Reservations are made online (reservations only). The space only accommodates 18 guests, and serves up perfection Wednesday-Sunday. The 14-course menu feels like an intimate dining experience at the Chef’s home. 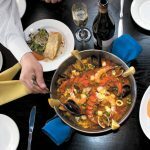 Acanto is an Italian dining experience that is rivaled by few. They are conveniently located by Millennium Park to aid in a comfortable place to dine while you take a break from shopping. Their cocktail mixes are spot on’ they know what they are doing behind the bar as much as they do in the kitchen. Their menu does not disappoint at all’ with all of their pastas being up to par as a flagship dish . However, the’duck egg spaghetti is something to be sought out. The use of white interior mixed with dark wood makes you feel as if you are in an upscale, yet laid back dining hall. From light bites, to refreshing lunches, and filling dinners’ Acanto is an all around workhorse. Baker Miller is the place for hearty, homestyle brunches. As their title hints, they excel in baked goods. The flavor comes through with their own milled flour’ freshness at its finest. When you are craving a delicious, traditional breakfast’ their cinnamon rolls or grits are the go-to. Before you leave, be sure to pick-up some of their creations to take home. That may be an extra pastry, or 10, or maybe some of their flour for your own baking purposes. 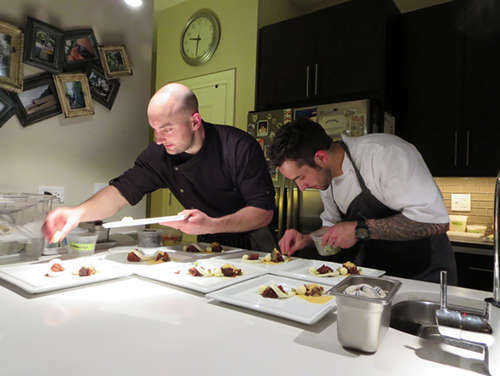 Ceres’ Table excels in regional Italian cuisine. Their food and atmosphere is obviously the first thing that will attract you, but I love all of their options for dining. They provide something for everyone’ from the traditional dining experience, to their drink/pizza/dessert special and 3-course menu offering. The couches implemented into the seating are a very nice touch. For an exquisite dinner’ go with the smoked swordfish (for uniqueness and taste) and end it with the’salted caramel budino. If you aren’t feeling super adventurous, their pizza is spot on. The Chicken Shop made its way across the pond from London to allow hungry Chicagoans to feast on crispy, juicy chicken. 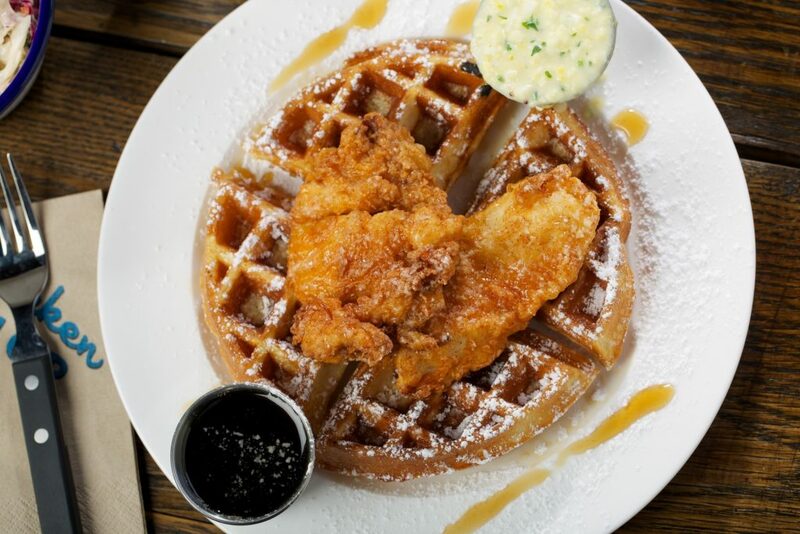 This could be one of the best brunch spots in the Chicagoland area, if you are craving succulent chicken and waffles. They do serve burgers as well now, if your dining partner is not a poultry fan (how dare them). They don’t serve Costco chicken either’ it is’rotisserie-cooked, free-range birds sourced from Pine Manor Farm in Indiana. You’re in for a treat. Current’s modern atmosphere is fitting to its name. The phenomenal view of Lake Michigan only ads to the facade. The wine, beer and cocktail list is extensive, and compliments their Italian cuisine selection very nicely. Their menu rotates throughout the day. 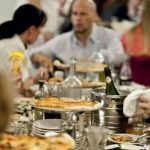 They have small bites to accent your glass of wine, as well as pizza and hearty entrees that will require some Fernet afterwards to help the digestion process’ all with a smile on your face. This is a great place to snag lunch as well’ I highly recommend it. Green Street Smoked Meats makes me feel torn inside. I am a huge barbecue fan’ when I get a healthy whiff of it, I need it. Just walking by the building will make you salivate uncontrollably. When you happen to stumble by at 2am after a couple drinks’ it is the biggest tease ever. Green Street has taken over as one of the best barbecue joints in the area. Their meat is served by the 1/2 pound, or in sandwich form (among other options). The sides are simple, but precisely what is needed to accent the cuts. Their brisket alone is enough to make me want to riot for an unlimited supply. Grillhouse is absolutely worth the venture up to Schaumburg. The basis of the restaurant is farm to table. Fresh, local, organic’ supreme. The dry-aging technique used on the meats can be found in no other restaurants that David Burke doesn’t craft in. The beef cuts are cooked to perfection and the seafood is equally as satisfying. The starters and table shares boast unique flavors to prepare your pallet for the main entree. The freshness prevails in every bite. Momotaro is a Japanese dining experience that will stimulate all of the senses of your body. They aimed to make Momotaro an authentic Japanese dining experience’ they did not fall short at all. This venue is tri-level, with an’izakaya style bar that offers a different experience from the main dining room. This very modern atmosphere is mixed with Asian designs to balance it out into a cultural experience. Their menu is very respectable, boasting around 40-items. Indulging in their cuisine is experiencing food art. This has potential, if not already, to be the best Japanese restaurant in Chicago. Oak + Char has taken American cuisine and given it a global flair. Traditional Midwest dishes have been revitalize with creative seasonings and pairings. Their MSG (Maplesherrygochujang Chili)’Chicken Wings are enough of a reason to stop in’ they could be a real contender at WingFest. Their starters provide a nice variety, and their entrees range from the classic burger to duck and trout. Their chef’s plate is a 32oz bone in ribeye, sided with a large bone with marrow intact and seasoned with sauce perigueux (insert sigh of affection here). An American restaurant wouldn’t be complete without a hearty drink list’ delicious and strong. 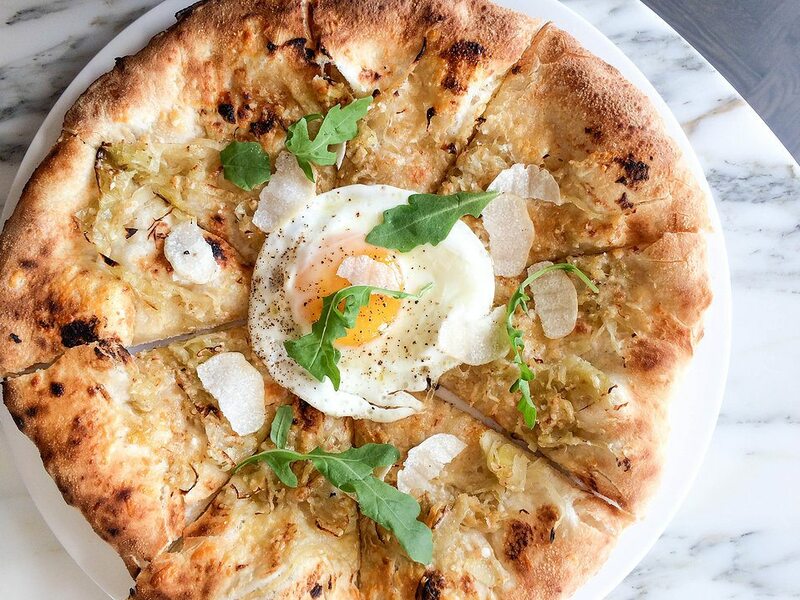 Pizza East is an upcoming star in the vicious Chicago pizza scene. Their ciabatta-style dough sets it apart from the masses’ and it is absolutely delightful. They use wood ovens to melt the Italian mozzarella, and cook the locally sourced meats to perfection. The crust is crunchy and doughy at the same time, depending on where you bite. This is traditional with the wood fire cooking method. There is bountiful seating, and pleasant lighting. The drinks are’adequate and the atmosphere is great to meet up with friends. River Roast combines two of my favorite things’ a great view and food that is meant to bring people together. This place somewhat hits home for me’ it is hard to exactly put it into words. It is like they took the dinners that I used to eat growing up, and then reworked them in a magical way that my tastebuds can’t even understand. I guess what I am trying to say is’ I am a sucker for roast and vegetables. 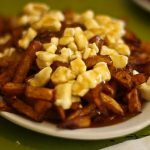 Their menu does boast a nice selection of snacks, bites, oysters and salads to give it a well-rounded variety. Salero has taken their own approach to modern Spanish cuisine’ you will find no tapas here. They do have small bites (pintxos) to start off with, but their entrees are where they can really shine and show your what Spanish cuisine can taste like. 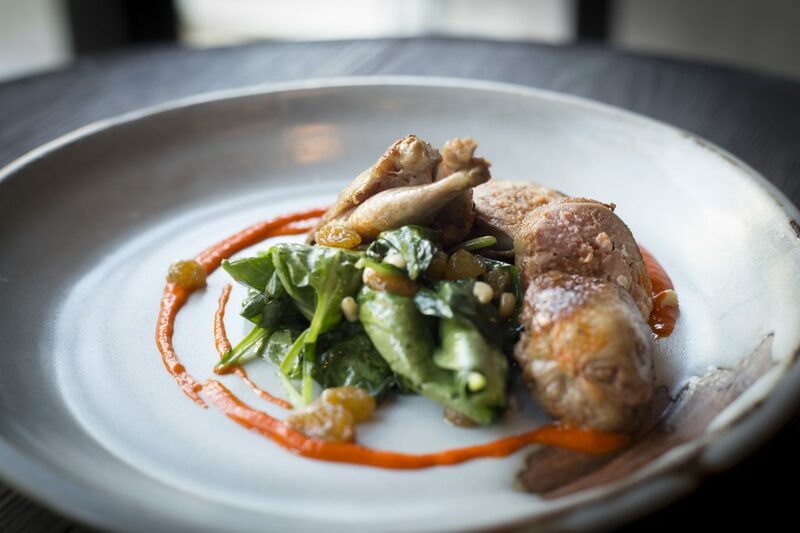 One bite of their’chorizo stuffed quail will’exemplify’how much potential and expertise that their chefs have. 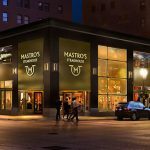 Their entrees come in many different forms to accommodate everyone’s taste’ from lobster to flat-iron steak and much more in-between. The interior gives off a simple, yet elegant atmosphere that makes this a perfect place for two. The Allis has embraced the phrase’less is more. Sometimes all we need is a relaxing place to indulge in some light eats and a good cocktail’ or even tea. The atmosphere is classy, but very comfortable. ‘Their breakfast spread is impossible to pass-up if you stop by in the morning. They have an exquisite selection of sweets that are potentially dangerous’ one bite and you are hooked. If you can’t make it in for afternoon tea, The Allis is surely one of the best afterwork cocktail bars in the area. Heck, grab a book and cozy up by one of their window seats. Unite Urban Grill has quickly risen to the top as one of the best steakhouses in the city. The unique thing about them though, is that they may be passionate about grilling, but they also have a thing for vegetables and grains. This is a place where carnivores and vegetarians can unite in feasting. While their lamb meatballs and hangar steaks are worth fasting for, their house-made pasta, fish, poultry and vegetables are ridiculous as well’ in the best of ways. Their drink menu is very respectable’ covering all the necessities. I don’t care if you need to unbutton your pants after this meal or not- order the Peanut Butter Mousse Cake for dessert. Whisk celebrates the basis in which America was built upon’ breakfast food and burgers. Oh, and bacon. The owners were so inspired by the character of Ron Swanson (Nick Offerman), from’Parks and Recreation,’that they essentially built a restaurant upon his simple morals’ they received his personal approval as well. Whisk understands that we need to enjoy the simple things in life. This is one of those restaurants that you could stop in for an omelet and pancakes in the morning, then return for a burger at dinner and leave feeling like you just conquered the day. However, their menu is packed with a large variety of options’ including Mexican dishes. 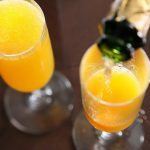 Where To Get Bottomless Mimosas Chicago Brunches?